A: Probably too much. When in stress from overwatering, a fungus called Bot Canker attacks and kills entire limbs. Those limbs that have turned brown should be removed since they come back. Then apply the entire Sick Tree Treatment to the soil and plants. Make sure the trunk flares are visible and cut back on the watering. I would not recommend planting any more of these plants. This problem is becoming wide spread. 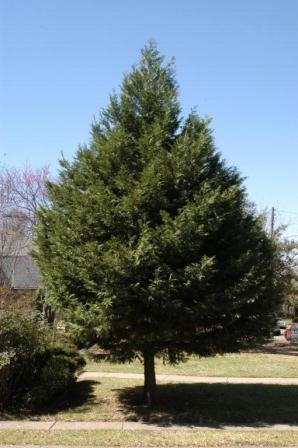 Q: I have lost about 20 of 50 leyland cypress. They have not been overwatered, i read your book. I understand there is a blight affecting them. I am willing to re-plant something else for a good visual break. A: I'd plant a mixture of yaupon holly, eastern red cedar, agarita, cherry laurel and magnolia. Introduced hollies that would work include Nellie r. Stevens, Wirt l. Wynn, and lusterleaf. The coppertone loquat might also be a good choice.